commercial company: REVI plus s.r.o. 1.1. These business terms and conditions (hereinafter referred to as the „Business Terms and Conditions“) of the commercial company, REVI plus s.r.o., having its registered office at Želetická 706/9, 412 01 Litoměřice, registration number: 27313778, entered in the Commercial Register maintained by the Regional Court Ústí nad Labem, section C, insert no. 23929 (hereinafter referred to as the „Seller“) set forth, in accordance with the provision of Section 1751 ss. 1 of Act no. 89/2012 Coll., Civil Code (hereinafter referred to as the „Civil Code“), mutual rights and duties of the contracting parties established in connection with or based on the purchase agreement (hereinafter referred to as the „Purchase Agreement“) concluded between the Seller and another natural person (hereinafter referred to as the „Buyer“) through the internet shop of the Seller. 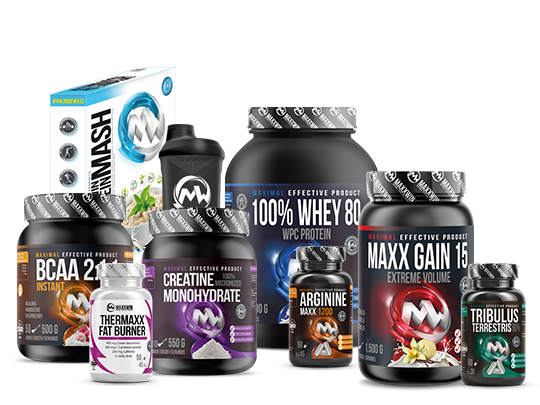 The internet shop is operated by the Seller on the web site placed at the internet address www.maxxwin.cz (hereinafter referred to as the „Web Site“), through an interface of the Web Site (hereinafter referred to as the „Web Interface of the Shop“). 1.2. The Business Terms and Conditions shall not apply to cases when a person who intends to buy the goods from the Seller is a legal person or a person who acts, when ordering the goods, within its business activities or within its independent practice of the profession. 1.3. The provisions divergent from the Business Terms and Conditions may be agreed in the Purchase Agreement. Divergent arrangements in the Purchase Agreement shall take preference over the provisions of the Business Terms and Conditions. 1.4. The provisions of the Business Terms and Conditions shall be an integral part of the Purchase Agreement. 1.5. The wording of the Business Terms and Conditions may be altered or amended by the Seller. This provision shall not affect the rights and duties established for the effective dates of the previous wording of the Business Terms and Conditions. 2.1. Based on the registration of the Buyer on the web site, the Buyer may access its user´s interface. From its user´s interface, the Buyer may order the goods (hereinafter referred to as the „User´s Account“). If the Web Interface of the Shop enables it, the Buyer may order the goods also without any registration directly from the Web Interface of the Shop. 2.2. When registering on the web site and when ordering the goods, the Buyer is obliged to state any data correctly and truthfully. The Buyer is obliged to update the data stated in the User´s Account in case of any change thereof. The data stated by the Buyer in the User´s Account and when ordering the goods shall be considered by the Seller to be correct. 2.3. Access to the User´s Account is secured with a user name and password. The Buyer is obliged to maintain the confidentiality regarding the information necessary for the access to its User´s Account. 2.4. The Buyer shall not be authorised to enable any third parties to use the User´s Account. 2.5. The Seller is allowed to cancel the User´s Account, in particular, if the Buyer does not use its User´s Account for a period longer than 2 years or if the Buyer breaches its duties from the Purchase Agreement (including the Business Terms and Conditions). 2.6. The Buyer acknowledges that the User´s Account does not required to be accessible continuously, in particular, with regard to the needed maintenance of the hardware and software equipment of the Seller, or, the needed maintenance of the hardware and software equipment of third persons. 3.1. Any presentation of the goods placed in the Web Interface of the Shop is of the informative nature and the Seller is not obliged to conclude any Purchase Agreement with regard to these goods. The provision of Section 1732 ss. 2 of the Civil Code shall not apply. 3.2. The Web Interface of the Shop shall include the information regarding the goods, including prices of the individual goods. Prices of the goods are including the value added tax and all associated fees. Prices of the goods shall remain to be effective for a period for which they are showed in the Web Interface of the Shop. This provision shall not limit the Seller´s possibility to conclude a Purchase Agreement under the individually agreed terms and conditions. 3.3. The Web Interface of the Shop includes also the information concerning the costs associated with packaging and supply of the goods. The information concerning the costs associated with packaging and supply of the goods stated in the Web Interface of the Shop shall apply only in cases when the goods are supplied within the territory of the Czech Republic. 3.4.3. the information relating to the costs associated with the supply of the goods (collectively hereinafter referred to as the „Order“). 3.5. Before sending an Order to the Seller, the Buyer is enabled to check and change the data which the Buyer included in the Order, taking into account the possibility of the Buyer to ascertain and correct errors incurred when including the data in the Order. The Buyer shall send an Order to the Seller by clicking to the bottom „to complete“. The data stated in the Order are considered by the Seller to be correct. 3.6. Sending of the Order mean such act of the Buyer which identifies, in an undisputed manner, the goods being ordered, the purchase price, the person of the Buyer, the manner of payment of the purchase price, and it is a binding proposal of the Purchase Agreement for the contracting parties. The conditions for the validity of the Order is the completion of any obligatory data in the order form, the familiarization with these Business Terms and Conditions on the web site and the confirmation of the Buyer that it became familiar with these Business Terms and Conditions. 3.7. The Seller shall confirm, without delay after the receipt of the Order, this receipt to the Buyer by electronic mail, to the address of the electronic mail of the Buyer stated in the user´s interface or in the Order (hereinafter referred to as the „Electronic Address of the Buyer“). 3.8. The Seller is always authorised, depending on the nature of the Order (quantity of the goods, amount of the purchase price, estimated costs for transport), to request the Buyer for the additional confirmation of the Order (for instance in writing or by phone). 3.9. A proposal of the Purchase Agreement in a form of the Order shall be valid for fifteen days. 3.10. The contractual relationship between the Seller and the Buyer shall be established at the moment of delivery of the receipt of the Order (acceptance), which is sent by the Seller to the Buyer by electronic mail, to the Electronic Address of the Buyer. 3.11. If some of the requirements included in the Order cannot be fulfilled by the Seller, the Seller shall send, to the Buyer to the Electronic Address of the Buyer, a modified offer with stating possible variants of the Order and request a statement of the Buyer. 3.12. A modified offer shall be considered a new proposal of the Purchase Agreement and the Purchase Agreement is, in such case, concluded only at the moment of the acceptance by the Buyer by electronic mail. 3.13. The Buyer agrees to the use of any means of communication at a distance upon the conclusion of the Purchase Agreement. Costs incurred by the Buyer when using means of communication at a distance in connection with the conclusion of the Purchase Agreement (costs for internet connection, costs for phone calls) shall be borne by the Buyer itself, whereby these costs shall not differ from the basic rate. through a credit provided by a third party. 4.2. Along with the purchase price, the Buyer is obliged to pay to the Seller also costs associated with packaging and supply of the goods in the agreed amount. Unless stated otherwise explicitly, furthermore, the purchase price shall be also considered costs associated with supply of the goods. 4.3. The Seller shall not request that the Buyer makes an advent payment or another similar payment. This shall not affect the provision of Art. 4.6 of the Business Terms and Conditions with regard to the duty to pay the purchase price of the goods in advance. 4.4. If payment in cash or payment on delivery is made, the purchase price shall be due and payable upon the take-over of the goods. In case of cashless payment, the purchase price shall be due and payable within 14 days from the conclusion of the Purchase Agreement. 4.5. In case of noncash payment, the Buyer is obliged to pay the purchase price of the goods with stating the variable symbol of payment. In case of noncash payment, the Buyer´s obligation to pay the purchase price is fulfilled at the moment of crediting the respective amount to the Seller´s Account. 4.6. The Seller is authorised, in particular, if the Buyer fails to additionally confirm the Order (Art. 3.8), to require payment of the purchase price in full already before sending the goods to the Buyer. The provision of section 2119 ss. 1 of the Civil Code shall not apply. 4.7. Possible discounts of the price for the goods provided by the Seller to the Buyer may not be mutually combined. 4.8. If it is usual in commercial relations or if it is set forth by the generally binding legal regulations, the Seller shall issue to the Buyer, regarding payments made based on the Purchase Agreement, a tax certificate – an invoice. The Seller is a payer of the value added tax. The tax certificate – the invoice shall be issued by the Seller to the Buyer after payment of the price for the goods and the Seller shall send it in an electronic form to the Electronic Address of the Buyer. 5.1.8. for supply of digital content, if it was not supplied on a tangible medium and was supplied with prior explicit consent of the Buyer before the expiry of the period for withdrawal from the agreement and the Seller notified, before the conclusion of the agreement, the Buyer of the fact that, in such case, it is not authorised to withdraw from the agreement. 5.2. Unless this is the case as specified in Art. 5.1 or another case when it is not allowed to withdraw from the Purchase Agreement, the Buyer is authorised, in accordance with the provision of Section 1829 ss. 1 of the Civil Code, to withdraw from the Purchase Agreement within fourteen (14) days from take-over of the goods, whereby, if the subject-matter of the Purchase Agreement is several types of the goods or supply of several parts, this period shall start to run from the day of take-over of the last supply of the goods. Withdrawal from the Purchase Agreement must be sent to the Seller within a period stated in the previous sentence. 5.3. Withdrawal from the Purchase Agreement may be sent by the Buyer directly to the address of the establishment or the registered office of the Seller or by e-mail to info@maxxwin.cz. The provision of Art. 11 of these Business Terms and Conditions shall apply to the delivery of withdrawal from the agreement. The entrepreneur shall confirm the consumer the receipt thereof in the text form without undue delay. 5.4. In case of withdrawal from the Purchase Agreement pursuant to Art. 5.2 of the Business Terms and Conditions, the Purchase Agreement is cancelled since the beginning. The goods must be returned to the Seller within fourteen (14) days from withdrawal from the agreement to the Seller. If the Buyer withdraws from the Purchase Agreement, the Buyer bears costs associated with the return of the goods to the Seller, even in the case when the goods cannot be returned, for its nature, by a usual postal way. 5.5. In case of withdrawal from the agreement pursuant to Art. 5.2 of the Business Terms and Conditions, the Seller shall return the money accepted from the Buyer within fourteen (14) days from withdrawal from the Purchase Agreement by the Buyer, in the same manner in which the Seller accepted it from the Buyer. The Seller is also authorised to return the performance provided by the Buyer already upon the return of the goods by the Buyer or in any other way, if the Buyer agrees to it and no further costs incur by the Buyer thereby. If the Buyer withdraws from the Purchase Agreement, the Seller is not obliged to return the accepted money to the Buyer earlier than the Buyer returns the goods or it proves that it sent the goods to the Seller. 5.6. The Seller is authorised unilaterally set off a claim for compensation for damage incurred to the goods against a claim of the Buyer for the return of the purchase price. 5.7. Until the goods are taken over by the Buyer, the Seller is authorised to withdraw at any time from the Purchase Agreement. In such case, the Seller shall return to the Buyer the purchase price without undue delay, by wireless transfer to the account specified by the Buyer. 5.8. If, along with the goods, a gift is provided to the Buyer, a donation agreement between the Seller and the Buyer is concluded with the condition subsequent that if the Buyer withdraws from the Purchase Agreement, the donation agreement shall, with regard to such gift, cease to be effective and the Buyer is obliged t return the gift provided along with the goods. 6.1. If the transport mode is agreed based on the specific requirement of the Buyer, the Buyer bears the risk and possible additional costs associated with this transport mode. 6.2. If the Seller is obliged, according to the Purchase Agreement, to supply the goods to the place specified by the Buyer in the Order, the Buyer is obliged to take over the goods upon supply. 6.3. If, due to any reasons on the Buyer´s part, it is necessary to deliver the goods repeatedly or in any way other than specified in the Order, the Buyer is obliged to pay the costs associated with the repeated delivery of the goods, or, costs associated with another way of delivery. 6.4. Upon take-over of the goods from the carrier, the Buyer is obliged to check the undamaged state of packaging of the goods and in case of any defects, it is obliged to notify the carrier of it without delay. The Buyer is not obliged to take over the delivery from the carrier if it is ascertained that packaging is breached due to unauthorised intrusion in the shipment. 7.1. Rights and duties of the contracting parties regarding rights from defective performance shall be governed by the respective generally binding regulations (in particular, provisions of Sections 1914 to 1925, Sections 2099 to 2117 and Sections 2161 to 2174 of the Civil Code). 7.2.5. the goods comply with the requirements of the legal regulations. 7.3. The provision stated in Art. 7.2 of the Business Terms and Conditions shall not apply, in case of the goods sold for a lower price, to a defect for which the lower price was agreed, for wear and tear of the goods caused due to the usual use thereof, in case of the used goods, to a defect corresponding to the degree of the use or wear and tear which the goods had upon the take-over by the Buyer, or if it arises from the nature of the goods. 7.4. If the defect is showed in the course of six months from the take-over, it shall be deemed that the goods were defective already upon the take-over. 7.5. The Buyer shall exercised the rights from defective performance at the Seller at the address of its establishment in which a complaint may be accepted with regard to the range of the goods being sold, or, where appropriate, also in the registered office or place of business. A moment of making a complaint shall be considered a moment when the Seller received the goods being subject to a complaint from the Buyer. 7.6. Other rights and duties of the parties associated with the liability of the Seller for defects may be regulated by the Complaint Rules of the Seller. 8.1. The Buyer shall acquire ownership to the goods at the moment of payment of the purchase price of the goods in full. 8.2. The Seller is not bound, in relation to the Buyer, by any Codes of Conduct within a meaning of the provision of Section 1826 ss. 1 lit. e) of the Civil Code. 8.3. The Czech Trade Inspection Authority, having its registered office at Štěpánská 567/15, 120 00 Prague 2, reg.-no. : 000 20 869, internet address: http://www.coi.cz, is competent for extra-judicial resolution of consumer disputes from the Purchase Agreement. 8.4. The Seller is authorised to sell the goods based on the trade licence. A trade inspection is carried out by the competent Trade Office within its competence. Supervision over the Personal Data Protection is performed by the Office for the Personal Data Protection. The Czech Trade Inspection Authority exercises, to the defined extent, inter alia, supervision over the compliance with the Act no. 634/1992 Coll., on Consumer Protection, as amended. 8.5. The Buyer hereby assumes the risk of changes of circumstances within a meaning of Section 1765 ss. 2 of the Civil Code. 9.1. The protection of the personal data of the Buyer that is a natural person is provided by act no. 101/2000 Coll., on Personal Data Protection, as amended. 9.2. The Buyer agrees to processing of this personal data: first name and surname, residential address, registration number, tax identification number, address of electronic mail, phone number (collectively hereinafter referred to as the „Personal Data“). 9.3. The Buyer agrees with processing of the Personal Data by the Seller, for the purposes of the exercise of rights and duties from the Purchase Agreement and for the purposes of maintenance of the User´s Account. Unless the Buyer chooses another option, it agrees that the Personal Data are processed by the Seller also for the purposes of sending of the information and commercial communications to the Buyer. The consent to processing of the Personal Data to the full extent pursuant to this Article shall not be any condition which would itself enable to conclude the Purchase Agreement. 9.4. The Buyer acknowledges that it is obliged to state its Personal Data (when registering, in its User´s Account, when ordering from the Web Interface of the Shop) correctly and truthfully and that it is obliged to notify the Seller of the change of its Personal Data without undue delay. 9.5. The Seller may entrust any third party, as processor, with processing of the Personal Data of the Buyer. Besides the persons transporting the goods, the Personal Data shall not be transferred by the Seller to any third parties without previous consent of the Buyer. 9.6. The Personal Data shall be processed for an indefinite period. The Personal Data shall be processed in an electronic form in an automated manner or in a printed form in a non-automated manner. 9.7. The Buyer confirms that the Personal Data provided is correct and that it was instructed this is the case of voluntary provision of the Personal Data. 9.8.2. request that the Seller or processor removes the state incurred. 9.9. If the Buyer requests for the information about processing of its Personal Data, the Seller is obliged to hand over this information. The Seller is authorised to request, for the provision of the information according to previous sentence, an appropriate payment not exceeding costs necessary for the provision of the information. 10.1. The Buyer agrees that the Seller sends the information associated with the goods, services or enterprise of the Seller to the Electronic Address of the Buyer and, furthermore, it agrees that the Sellers sends commercial communications to the Electronic Address of the Buyer. 10.2. The Buyer agrees to the storage of the so called cookies to its computer. If the purchase on the web site is possible and obligations of the Seller from the Purchase Agreement may be fulfilled without the so called cookies are stored to the Buyer´s computer, the Buyer is allowed to withdraw its consent according to the previous sentence at any time. 11.1. Notifications concerning the relations of the Seller and the Buyer, in particular, concerning the withdrawal from the Purchase Agreement, must be delivered by mail in a form of a registered letter, unless stated otherwise in the Purchase Agreement. Notifications shall be delivered to the respective contact address of the other party and shall be considered delivered and effective at the moment of delivery thereof by postal office, except for the notification of withdrawal from the agreement made by the Buyer when the withdrawal takes effects, if the notification is sent by the Buyer within the period for withdrawal. 11.2. A notification is also considered delivered if the take-over thereof was rejected by the addressee, if it was not picked up within the storage period or if it was returned as undeliverable. 11.3. The contracting parties may mutually deliver the usual correspondence by electronic mail, to the address of electronic mail specified in the User´s Account of the Buyer or stated by the Buyer in the Order, or, to the address stated on the web site of the Seller. 12.1. If a relationship established through a Purchase Agreement includes any international (foreign) element, then the parties agree that the relationship shall be governed by Czech laws. This shall not affect rights of the consumer arising from the generally binding legal regulations. 12.2. If any provision of the Business Terms and Conditions is or becomes invalid or ineffective, the invalid provisions shall be replaced by a provision the sense of which is as close as possible to the invalid provision. The invalidity or ineffectiveness of one provision shall not affect the validity of other provisions. Alterations of and amendments to the Purchase Agreement or the Business Terms and Conditions require a written form. 12.3. The Purchase Agreement including the Business Terms and Conditions shall be archived by the Seller in an electronic form and shall not be accessible. 12.4. A sample form for the withdrawal from the Purchase Agreement forms an appendix to the Business Terms and Conditions. 12.5. The contact data of the Seller: address for delivery Želetická 706/9, 412 01 Litoměřice, address of electronic mail info@maxxwin.cz, telephone +420777659938.